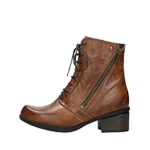 Step Inn Shoes welcomes you to autumn’s biggest looks from wild to - whisper it. Get ready for an extraordinary season, a technicolour affair. The 80’s revisited with a new twist. Bending the rules will be the norm. Heels and a light hearted overtly girly direction are emerging. Stiletto and kitten heels make a return - perfect for those who love a more feminine look. After-hours dress code is all about excess – high octane glamour. For a more subtle take on reliving the 80’s fashions boldest decade, accessorise in black and white - black and white animal print or white ankle boots. Bohemian Globetrotter – a neo hippy trend – you can mix it up. Pattern with pattern – leopard sneakers or fur trimmed boots with floral – have fun. 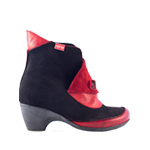 Crafted arty Clamp’s low heeled shoes and boots will be a definite contender for you. Neutrals with a modern bent. Bordeaux, camel, chocolate, beige, green …… update nostalgia with layers of texture and accessories. Three quarter length boots – ankle boots – fur trims and metallic leathers will add a new dimension to your neutral shades. Office smart – laid-back luxury is the new code of conduct – a new version of femininity is quietly powerful – relaxed tailoring combined with heels or sneakers for everyday ease. Jungle the animal-print trend is roaring more loudly than ever. A pair of heels in black and white leopard, a pair of ocelot mules or animal print sneakers – the choice is yours. Chasing the rainbows - autumn / winter 2019 brings a burst of glorious technicolour. The styling secret - keep it simple. Wearing head to toe shades elevates rainbow dressing from childlike to chic. Combine purple, red, green or yellow shoes with your outfit for elegant sophistication. The blue planet - denim remains a stylish mainstay. Coloured shoes or boots will add a fresh new chapter in the story of blues. 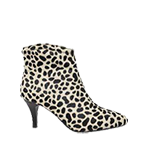 Ramp it up a notch – wear a fun pair of shoes – leopard print , studded , fur trimmed or metallised leather. Effortless layers - buffed leathers and billowing silhouettes lend a vintage moment worn with work boots or feminine heels. Back in the saddle – jodhpurs, riding boots hacking jackets in heritage checks bring equestrienne style back to the arena this autumn. Perfectly polished leathers – full length or mid-calf boots nod to the show pony in each of us. Enjoy the ride. LBD - power dressing returns lending an 80's edge to the little black dress. Short skirts, sculptured shoulders and statement accessories – stilettos or flats – plain or embellished –knee length or ankle boots – be yourself. Taking a shine – styles come buffed to a high gloss as patent leather, gleaming plastics and polished PVC add a slick shimmer to daily dressing. 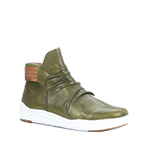 An easy way to dip your toe into the trend – shoes or boots in patent or metallized leather finishes will do the trick. This season you will be sure to find a treasure or two at Step Inn Shoes. Best Regards Fay Tom and the team.